We are very happy to have been able to help out by providing WEAE - a most worthy cause! - with a super url www.Energy888.org and a brand new SpaceNode, featuring Flash compatibility, the "count down to the event!" timer block, and FaceBook blocks to help with social networking. Even with a brand new SpaceNode you can make a good impression from the start, which was important for WEAE as it is newly begun. It was also useful for this site to be able to have multiple article databases, so that the sponsors of the event can be listed separately from the news items. 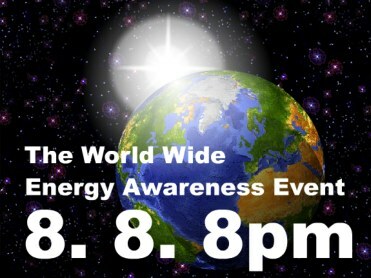 We anticipate the World Energy Awareness Event to become an annual event that will grow and grow - and with SpaceNode, it will have the back up on the WWW so it can do just that.